We’re finding that a B2B marketing video is a tool that is becoming almost essential for lead generation and sales closure. Inc. Magazine thinks it’s important as well: In a recent article, it reported that 93% of all B2B customers watch online video, while 43% of all buyers use video to help them make buying decisions . Echoing the sentiment in the real estate market of its three most important aspects (location, location, location), Janine Popick emphasizes “video, video, video.” Studies show, however, that people watch B2B marketing video for hard information—they don’t want a commercial, they want the facts. Action—Don’t use just a talking head walking a customer through a PowerPoint. Use real people, doing real jobs with your product. Animate charts and graphs. Keep scenes short and the content moving. Information—Stick to the facts. Don’t hard sell. Tell informative stories and deliver real value. Motivation—Compel the viewer to reach out to your organization for even more information, because in reality, a short video can’t give them all they need to know. Show them just enough to want more. Video is a great springboard to your other collateral, such as white papers, solution briefs, and more. What will your B2B marketing video do? Is it a product demo, a customer testimonial, or an animated explanation of technology? Which is the best story to tell—and compel buyers? Video doesn’t have to be expensive, but can quickly escalate in cost if your ambitions are greater than your budget. Start with a few simple videos that are both cost and customer-effective. That way you’ll get a true sense of just how much—and how long—it takes to get a good B2B video launched. There is nothing worse than developing a script, a story board, and even be caught in mid-production when senior management gets a review of the project and decides it’s not working. Circulate the outline, the script, the storyboard, and pre-production sketches and examples to make certain senior management has complete buy-in at every stage of the process. Unlike many of your other marketing efforts, B2B marketing video has, literally, so many moving parts that deadlines are far longer than what marketers might expect. It’s best to have a series of step-goals that lead to the final, polished project. Where many video productions fail or flounder is over lack of communication—particularly from the marketer to the video production personnel. 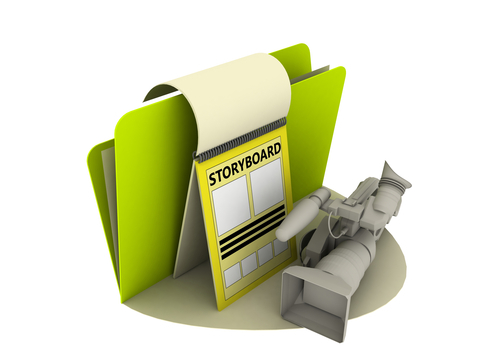 From concept, to script, to storyboard, to initial frames, each should have a deadline and a review process in place. Keep in constant contact with your video producer along the way—and show each step-goal to management for buy in or any potential changes. We don’t mean to suggest you should shoot a 30-second stand-up comedy routine, but customers watch B2B marketing video to get information and be entertained by the content in some way—action, animation, fun facts, and even compelling testimonials all fit the bill. Make sure the piece, as a whole, has style, energy, and eye-appeal from beginning to end. Productions costs are coming down, demand is way up, and customers find that video is an increasingly essential part of their buying and product vetting process. With cross-platform and mobile video compatibility standards finally in place, such as HTML5, the trend is clear: there will be video in your B2B marketing future. And you don’t need to invest in CGI graphics and high production values to succeed, either. Even video blogging can be a great first step for companies to dip their toe into the video pool. Unscripted, shot-from-the-hip scenes of customers using and talking about your product, or on-the-job interviews can have greater credibility because they aren’t polished (or pushy). Have you produced B2B marketing video recently? Did you write the scripts yourself? Do you have in-house production? We’d love to compare notes and tips on the creative and production processes with you. Please drop us a comment below.